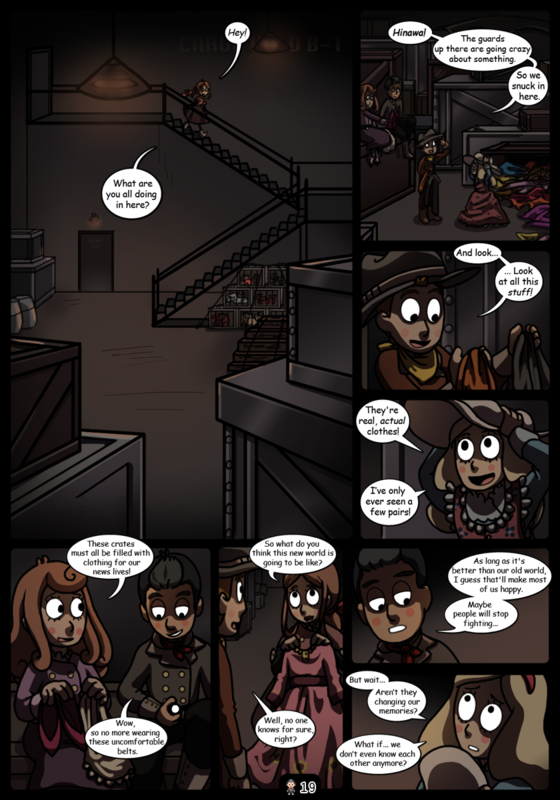 Hinawa sneaks into the cargo hold, and it turns out that a few other kids have already stumbled into the place, filled with the real clothes made for their new lives. The X-mas surprise might be hostile and rowdy, but it still falls asleep if helped enough. Sven becomes desperate, but Kang saves the day with an old, now perfected technique. So now what will become of Sven? Finishing off the story with baby giggles and Picky rants. So, there you have it. That’s… that’s the end of these characters’ stories. Feels like it’s been quite a long trip we’ve spent with them. We made this story for the Winter Funfest (which by the looks of it might not even happen, if so we’ll just try to submit this next year), but I also really wanted to do one last thing with these characters. A little bonus chapter to top it all off with. Tracy, Picky, Kang, Lydia and the rest – it’s been fun. I love you guys.